Goverments around the world have been asked by IPCC to think about the future of the IPCC. The Netherlands now sent their submission to the IPCC and made it available on the website of KNMI. However – notwithstanding the IPCC’s very own June 2012 claims to the contrary – I have yet to see any evidence in support of this submission’s contention that the IPCC’s “prolonged period of self-reflection” following the conclusion of IAC’s August 2010 review, has resulted in “a large number of incremental improvements”. Disappearing a rarely practiced but inconvenient rule in response to a recommendation that it be strengthened and more closely adhered to, is not exactly my idea of an “improvement”. Nor would I consider the following sequence of events an “improvement” on the part of the IPCC. national and international correspondents based in Addis Ababa to the opening session of the 4th Lead Author Meeting of Working Group III, Intergovernmental Panel on Climate Change (IPCC) 5th Assessment Report (AR5) which will last from July 1 to 5, 2013. The Addis Ababa meeting is the last of four WGIII Lead Author meetings in the AR5 assessment cycle. The experts are expected to produce a comprehensive, balanced and sound assessment of the status of knowledge on strategies and options as well as risks of climate change mitigation. The WGIII assessment will be carried out in strict compliance with the “Principles Governing the IPCC Work”, which require that it is made on a comprehensive, objective, open and transparent basis and should be neutral with respect to policy. Media are invited to the Opening Plenary of the 4th Lead Author Meeting and to the press conference which will follow at 10:30 a.m. local time. Yet, as Donna Laframboise reported a few days ago, one presumes that during the course of this July 1 Press Conference (if not before! ), these “experts” (whose “expertise” was unhelpfully unspecified, as is often the case at the IPCC) had morphed into “[pretend] climate scientists”. 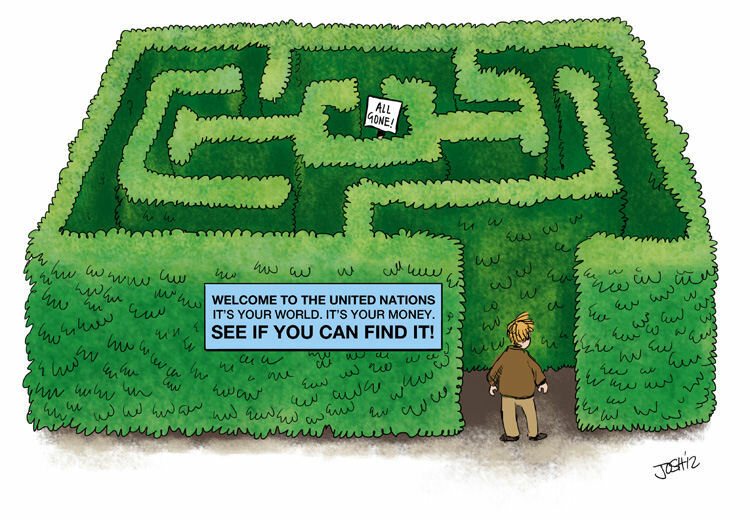 Laframboise has highlighted a very misleading “out of Africa” headline that appears to have been generated by yet another Agency in the ever-growing UN maze. Addis Ababa, 01 July 2013 (ECA) – Scientists from around the world comprising the lead authors of the Intergovernmental Panel on Climate Change (IPCC) Working Group III have commenced their fourth meeting that takes place from1-5 June in Addis Ababa. The session opened with reminders of the magnitude of the challenge of climate change, particularly in Africa and a call to do more on resilient measures in the face of climate related disasters. But I digress (hey, it’s my blog, and I’ll digress if I want to!) … Back to this submission from the Netherlands which has been presumed to be in response to a call from the IPCC to its member nations. While some submissions referred to all aspects of the discussion paper, many did not follow the structure of the paper and primarily addressed main questions of future IPCC outputs, Working Group structure and composition of the IPCC Bureau. Many authors and organizations also offered detailed comments on scientific technical issues for the next assessment round. Comments were also offered on the use of the funds received for the Nobel Peace Prize. They are reflected in the document submitted under item 7. In the light of the decisions that have to be taken by the 28th Session of the Panel this synthesis attempts to summarize comments on main decision items and reflections on the AR4 process. As the saying goes … well, they would say that, wouldn’t they?! In its typically transparent UNhelpful™ fashion, the Secretariat had provided no hyperlink to “document IPCC-XXVIII/INF.1”. So, for those who might want to undertake the exercise of comparing the compilation (“submitted by the Secretariat”) with the Synthesis – or The Netherlands’ 2008 submission with its more recent contribution – here’s the link (pdf). The focus of the Panel and the comprehensive assessment that it carries out by relying on peer reviewed literature is one of the major strengths of the IPCC, and over a period of time this has certainly motivated researchers both at the individual and institutional levels to undertake research activities that advance the frontiers of knowledge. It is not unusual for researchers to seek and receive research funding on the grounds that their work would feed the requirements of the IPCC. Hence, the work of the Panel has had a major capacity building dimension that should not be minimized. “Extremely successful”? Well, I suppose it was back in the good old days when few read anything beyond its carefully crafted Press Releases (or the dutiful regurgitation and/or interpretations thereof by lazy and/or gullible journalists). “[R]elying on peer reviewed literature”? What a joke that turned out to be, eh?! It would be difficult to dispute, however, that some who call themselves “researchers” do indeed “seek and receive … funding [to] feed the requirements of the IPCC”. This is certainly a “major” something or other; but “capacity building” is not a phrase that immediately comes to my mind, in this particular context. An important element of IPCC’s effectiveness has been its ability to convey its findings to the public through the media and other means. Needless to say media interest in the IPCC’s work is a function of the credibility of the organization, but it is clearly the result also of an increasingly proactive outreach strategy to enhance the value, acceptance and effectiveness of the outputs produced by the IPCC. However, in the intervening years (judging by all the moaning and groaning of so many in the “how can we get our message out” advocacy crowd) perhaps this 2007 award was somewhat premature – if not completely unwarranted and undeserved. Apart from the fact that Pachauri appeared to gloss over declarations elsewhere that the IPCC’s “major client” is the United Nations Framework Convention on Climate Change (UNFCCC) – IOW, “the work [of the IPCC] feeds the requirements” of the UNFCCC – there’s another tidbit from this episode of Pachauri’s Pontifications (and/or those of his ghost-writer) that I found amusing. Here he appears to be remarkably prescient regarding the future rise in importance of the IPCC’s younger sibling, the IPBES with its “biodiversity” scary stories more closely aligned to the ever-increasing hues and cries from the “sustainable development” crowd. Public perceptions and knowledge related to climate policies: The public is now much better informed about the scientific basis and scientific nature of climate change. There has been an obvious explosion in awareness [word salad from which he pulls the following rabbit out of his hat:] With this level of awareness, there is now a greater demand for a higher level of policy relevance in the work of the IPCC, which could provide policymakers a robust scientific basis for action. With the growing awareness about climate change has also come much greater interest in the fundamentals of sustainable development, and larger issues which focus on the depletion and degradation of natural resources and ecosystems across the globe. Future assessments by the IPCC will be required to focus in more concrete ways on various aspects of sustainable development. A shift in the framework to be developed and used at least for the work of Working Groups II and III towards various aspects of sustainable development will, therefore, be warranted, while maintaining the comprehensive nature of IPCC assessments. With such a self-congratulatory “audit” under the Secretariat’s belt, it is little wonder that two years later the IPCC embarked on a course of paying lip service to (but, in reality, thumbing its nose at) the recommendations of the IAC. In the absence of any indication** that I was able to find on the IPCC site of a more recent call for submissions on “The future of the IPCC”, one can only speculate on the reason(s) that the government of The Netherlands might have chosen to release its apparently far more recent submission, discussed by Curry and Crok. The trouble is that the IPCC was set up to investigate anthropogenic climate change if my reading of its remit is correct. Given that it is a UN body and therefore has access to a bottomless money pit, investigating anything which might lead to the conclusion that there’s nothing they can do about and so they might as well disband is something of a non-starter! No, the IPCC was set up to assess the current state of knowledge on climate change from any cause, either anthropogenic or natural. UNFCCC and IPCC define climate change differently. UNFCCC does define climate change as being anthropogenic. An unhelpful confusion by these two organisations! Yes, I know that the IPCC’s own website has quietly removed the concept of “caused by human activity” but I think you will find that when it was originally set up that was indeed the remit, as Wikipedia (in my view, correctly) says. Betts’ own employer most certainly subscribed to this narrowed remit as recently as October 2011. Not only that, but as another poster observed, the U.K.’s Department of Energy and Climate Change (which presumably has responsibility for compiling the U.K. government’s glossary) specifically excludes “natural causes”. In short, the IPCC may have deluded some into believing that it has given itself a makeover***, but the end result is … business as usual. There were a few appearances of enhancements that my mouse and I did discover on the IPCC site during the course of our fruitless search for signs of a recent call for submissions on “the future of the IPCC”. One of which is that they are now far more “up-front” [scroll down!] with their definitions of “Approval”, “Adoption” and “Acceptance” (all three of which, evidently, now constitute “endorsement”) than they have been in the past. This should be of tremendous assistance to lazy journalists, such as the Guardian‘s Damian Carrington and Carrington’s noble defender, IPCC Lead Author, Richard Klein. An “Editorial Board”? Who knew?! This may well be an interesting topic for another day! But in the meantime … hands up all who have ever read an IPCC “Technical Paper” where it seems that those “differing views” that cannot be arbitrarily dismissed or ignored (in accordance with what appears to have been a long-standing past practice) might well be buried. Thanks, Hilary, for wrestling with UN distractions and jargon. ‘… decided to implement …’ ?? When? Which large number? in response to the several IAC recommendations. Which and when, incrementally? Where can we find which increments were approved in this month’s meeting? It is sufficient to note that the WGIII report is in preparation in parallel with WGII’s work, which is contemporaneous with WGI, to know that the entire operation is a put-up job. That WGI authors and findings are at the bottom of the editorial totem pole, instead of in control of QC and verification, is irrefutable proof. The entire process, by design, is bass-ackwards.